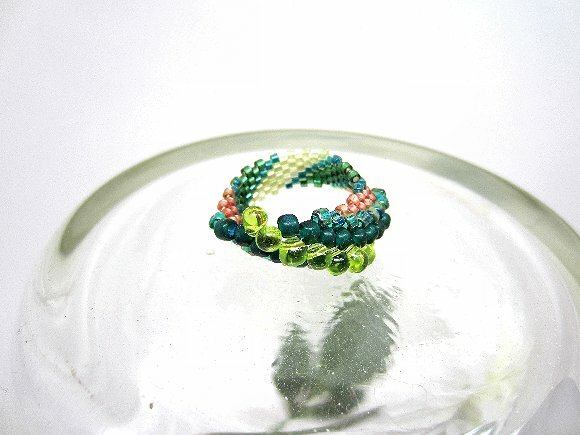 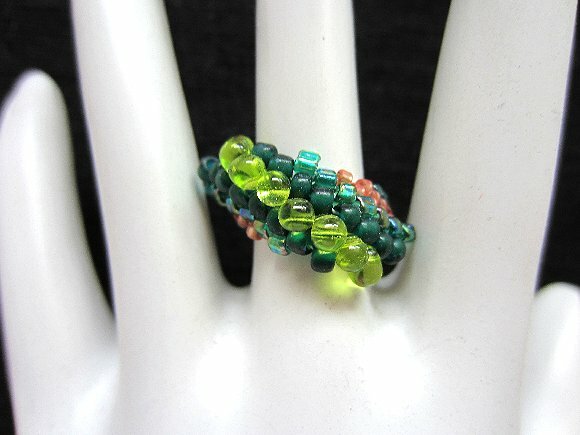 By using different sizes and shapes of beads, I've given this beaded ring a great deal of dimension and movement. 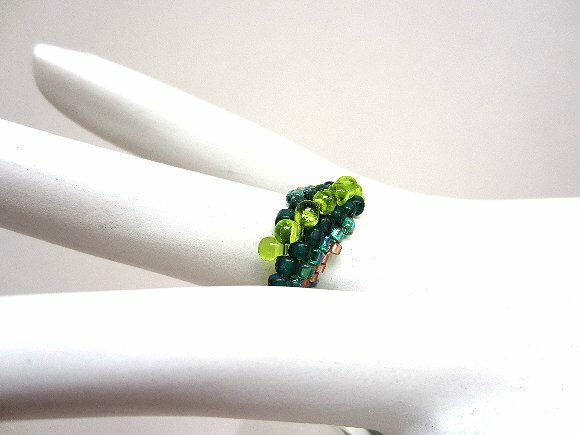 I?ve used forest and peridot green, plus some twinkly bronze beads. 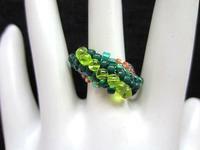 This ring is size 7, but I?ve others posted in different sizes and colors.